In this article, we will help you break down the paramedic salary in North Carolina. Not only will we show you how much a paramedic makes in NC, we’ll also compare those salary numbers to what EMTs and flight paramedics earn each year as well. So how much does a paramedic make in North Carolina? Let’s delve deeper and take a look. 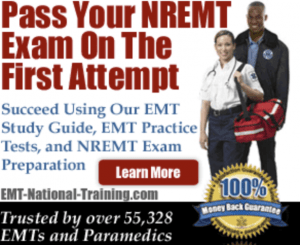 First, it’s important for anyone pursuing the job of a medic to know that the paramedic salary in North Carolina can fluctuate based on a variety of factors. One such factor is the region one works. Like many jobs in the United States, location matters. People working in a highly populated city like New York City or Los Angeles are going to make more annually than another person working in Boise, Idaho. The same is true for the job of a paramedic. Also, work experience can be a factor as well. Again, like any other work situation, being able to show your employer that you’re already familiar with the job due to your previous experience is invaluable. This can often lead to you not only hitting the ground running once you’re on the job, but even earning yourself some extra pay, too. It’s important to note that the job of a paramedic can lead to career growth in the medical field. This can, by its very nature, lead to a grander salary. For example, a paramedic earns more than an EMT, but a fire fighter paramedic or flight paramedic typically earns more than a ground or ambulance paramedic. Some licensed paramedics may even elect to go back to school and take the Paramedic to RN bridge program, which allows them to work towards becoming a Registered Nurse. All of these varying jobs that relate to or branch off from the role of a paramedic can affect one’s annual income. Before we get into any specific numbers when it comes to paramedic salary in North Carolina, let’s quickly cover a few important national statistics. Using Salary.com as our guide, let’s see how the salaries for EMTs, paramedics, and flight medics compare in the largest cities in North Carolina (by population). In Charlotte, EMTs make $30,047 every year. Paramedics make an average of $38,090 per year. And flight medics make $40,754 annually. In Raleigh, EMTs earn $30,084 annually. Paramedics earn $38,137. And flight paramedics make $40,804 in yearly income. In Greensboro, EMTs make $29,162. Paramedic salary is $36,968 annually. And a flight paramedic salary makes $39,554 every year. In Winston-Salem, an EMT makes $29,162 in salary. Paramedic salary equals about $36,968, while a flight paramedic salary is $39,554. In Durham, EMTs make $30,084 per year. Paramedics earn $38,137 each year. And a flight paramedic pulls in $40,804 annually. If you’re currently looking for a paramedic job in North Carolina, it’s recommended that you visit our job board. There, you can search for hospitals and ambulatory services that are looking to hire educated and trained paramedics. If you’re a prospective paramedic in North Carolina, the above numbers should leave you encouraged. While some areas such as Greensboro or Winston-Salem don’t meet or exceed the national salary average, they certainly come close, showing prospective medics that they can earn a livable wage working as an EMT-P in North Carolina. Visit our paramedic training homepage for more information. Is a Flight Paramedic Salary a Livable Wage?